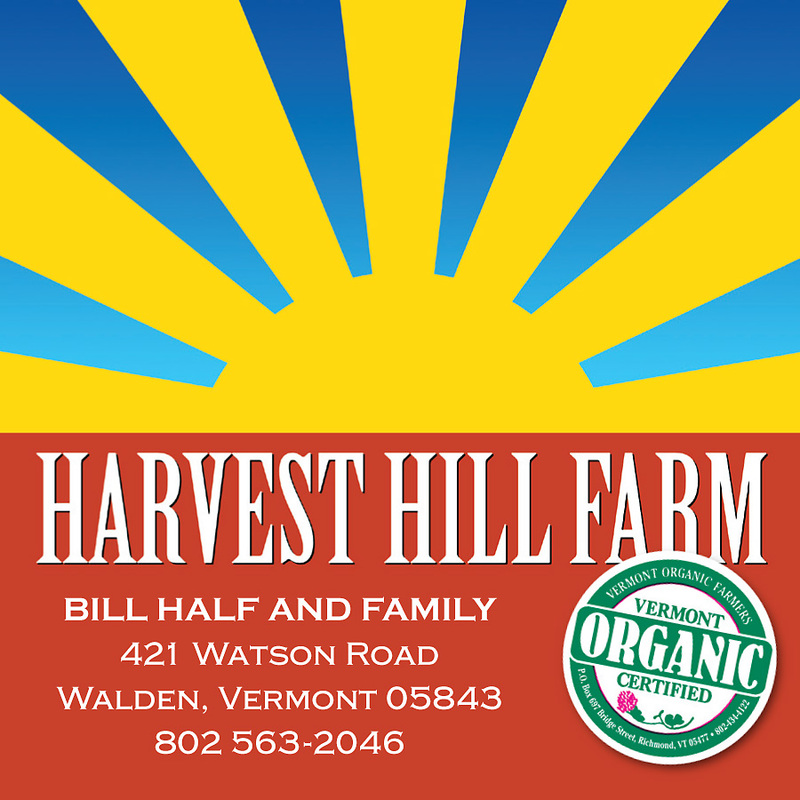 Harvest Hill Farm is a Vermont Certified Organic Farm. We are located in the Northeast Kingdom in the town of Walden. We (Bill Half and Ellen Gershun) purchased the farm in 2002. At 1900 feet elevation, it was previously the home of a 256 acre dairy operation. Our three children, Emma, Isaac and Maya have helped us throughout the years with the various tasks on the farm. We grow over 40 types of vegetables and small fruit (blueberries, raspberries and strawberries) organically on 6 acres of land. There are three greenhouses for tomatoes and one seedling greenhouse for seedlings and to cure onions and winter squash. The hay fields are mowed by our neighbors who are dairy farmers. In 2011, we received the Vermont Sustainable Agriculture Council Award based on our partnership with the Northeastern Vermont Regional Hospital of St. Johnsbury. The award was in recognition of our outstanding shared effort to build sustainable, collaborative and socially just communities. Beautiful place, Beautiful People. It makes me happy just to know you are out there. Will, It may feel like spring this weekend, but I am really looking forward to snow. There definitely will be something green the first delivery! I appreciate your support of the CSA.